Outgrown your dream home but moving is not an option. Looking to create that striking open plan space that brings the whole family together for a cosy and relaxing time. 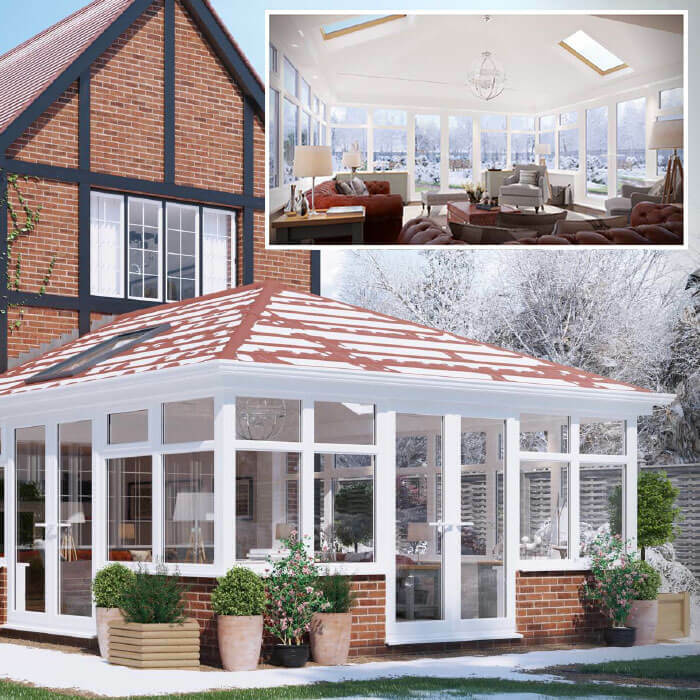 Building an extension to your home offers so much promise; more space, purpose-built entertainment environment for friends and family, something you can be proud of. However, conventional can be a real nightmare, from planning issues to living on a building site. 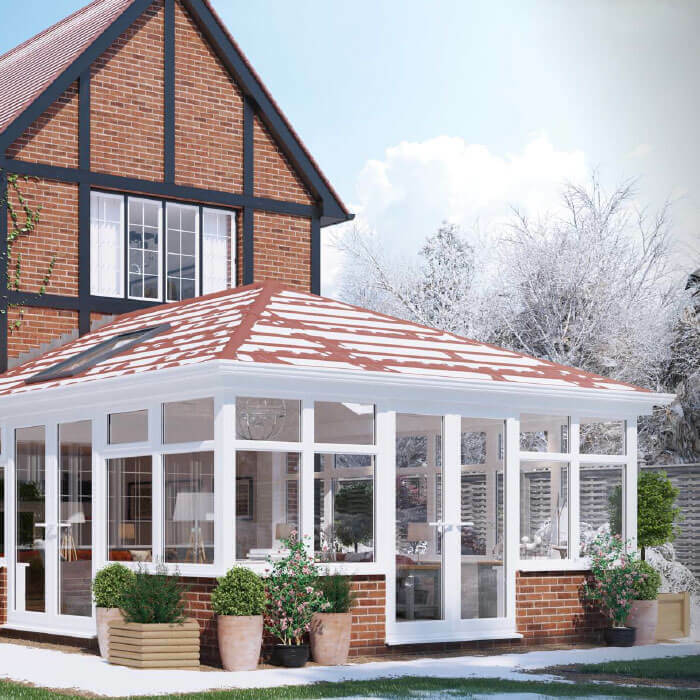 However, when you choose Extensions Difference Range, you can forget about all the frustrations, hassle and runaway cost synonymous with home extensions. What makes Extensions Difference Range a faster, more reliable way of extending your home, offering peace of mind? With Extensions Difference Ranges, all the usual roadblocks to a successful, pain-free extension have been engineered away. Instead of starting with a blank canvas, we are miles ahead of traditional building methods, even before we break ground. Our Extensions Difference Range is a modular, prefabricated building system offering pre-designed, precision engineered standard components. 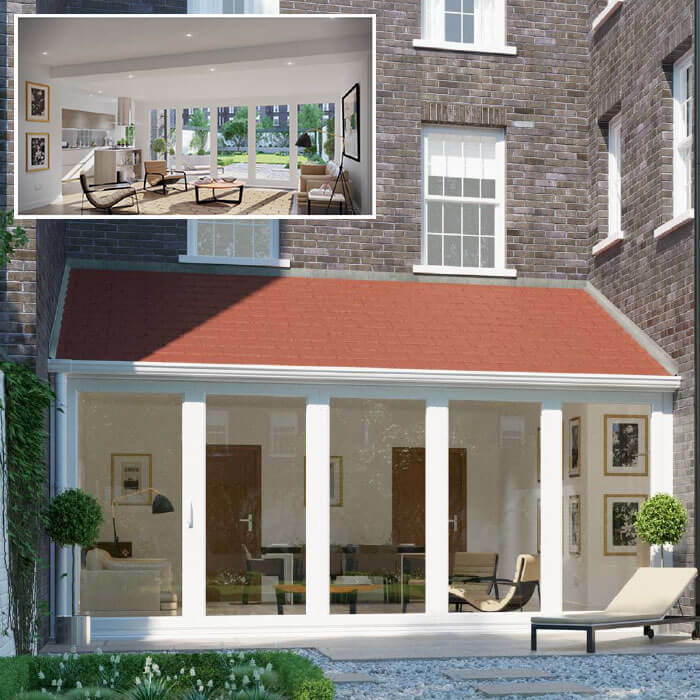 Prefabricated doesn’t have to mean boring or bland, and the system is so flexible no two extensions are the same. Because the components are prefabricated, your extension is fast, efficient and will be ready to use in a fraction of the time it takes conventional extensions to complete. Why Extensions Difference Range is the leading modular house extension system on the market. Each is configurable to suit your personal tastes and intended use of the additional space you will gain. We will produce a 3D image of the proposal so you can have a near-real-life experience of your new space before it takes shape. Plans and drawings for planning will also be produced at this stage if required. Save yourself the nightmare of escalating building costs by choosing Extensions Difference Range means you will know the cost of your extension, including all building, electrical and decoration work. Your quote is fixed and you will never have to worry about having to fork out a few extra thousands down the road. Most house extensions struggle with getting building regulation approval on completion. We have eliminated this risk by using pre-approved modules which meeting building regulations. 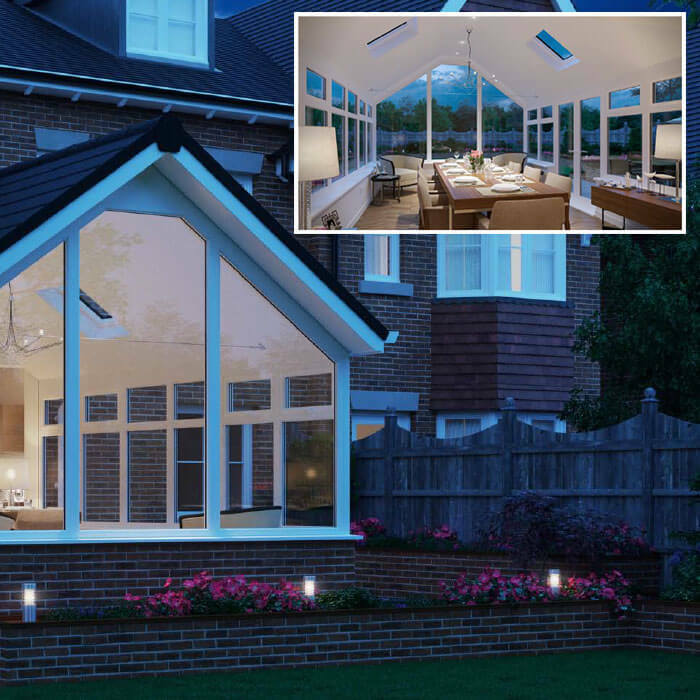 The high thermal performance of our components means your extension can truly be part of your home, forget the internal doors so common with traditional extensions. Using factory engineered components means we can put as much of your extension together off-site, ensuring everything fits perfectly. The completed components will be delivered to your home and installed with less fuss and little mess. Forget having to put up with the noise and dirt commonly associated with building sites. 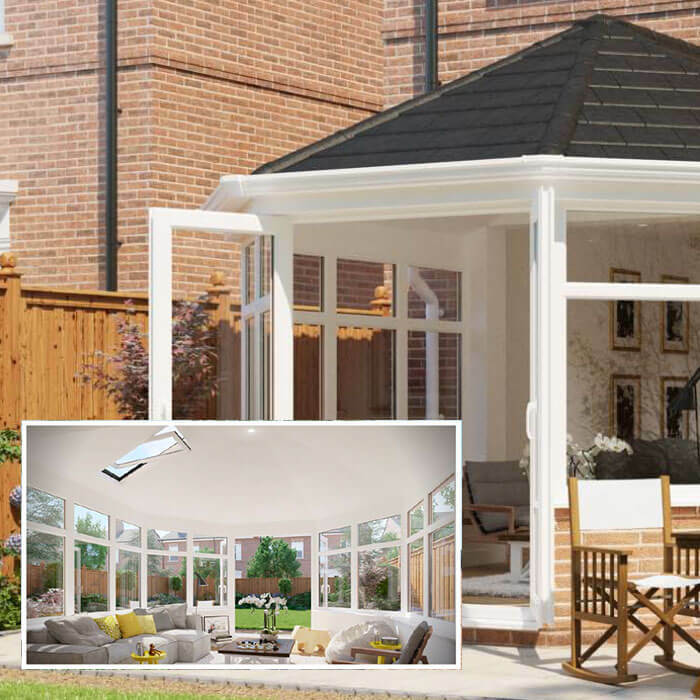 For a hassle-free, professional and one-stop home extension, choose our Extensions Difference Range and benefit from precision engineered components, expertly installed to provide the dream extension you have always wanted.